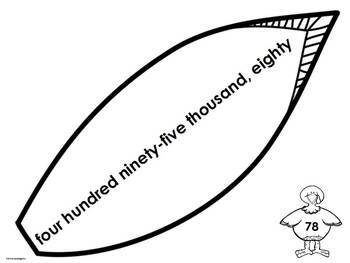 Thanksgiving Place Value contains 100 place value numerals between one thousand and one million. 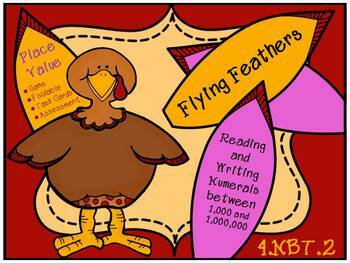 Students will use these Thanksgiving Math materials to practice reading and writing numbers from 1,000 to 1,000,000. 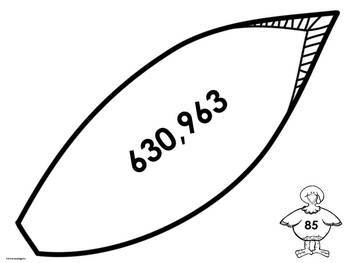 Thanksgiving Math may be played as a highly engaging whole class game. It may also be played as math center in which a pair of students sit quietly at a desk and answer task cards. 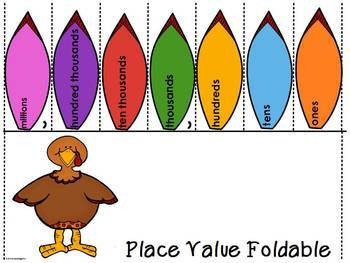 This Thanksgiving Math set includes a place value foldable which may be placed in student math journals as a reference. The pages in this set are designed to use very little ink. The cards may be printed one or more to a page; print instructions are included. Checkout the preview to read game directions.